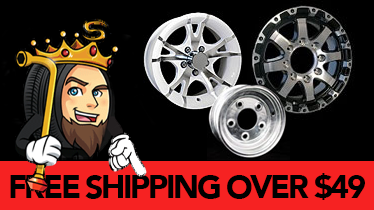 Need a Wheel/Tire Package? 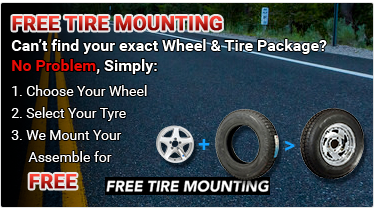 Click here for Trailer Tires for this Trailer Wheel"
PLEASE NOTE: Stock image shown. The wheel has 12 holes. 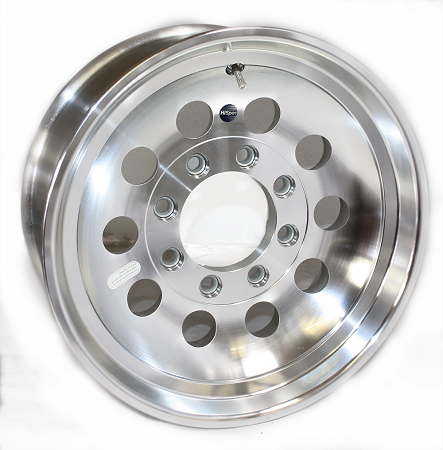 Hard time finding this wheel for my 2007 Cameo 5th wheel trailer, which was damaged in a tire blowout last Fall. TW came through just fine. Wheel matches perfectly and looks great. I ordered and received 2 of these wheels as replacements for 2 OEM wheels that had cracked. These were an exact fit (had them installed today 9/22/11) for the OEM wheels with a higher weight rating. Service on the phone call to ask questions was superb and the delivery time was excellent. Would highly recommend Trailer-Wheels.com to anyone who needs replacement wheels for their RV trailer. after reading reviews on your website I was also sold on this rim. I too have a Cameo 5th wheel and had an unfortunate tire failure(s).... thank you for having this in stock. We are now ready to hit the road for another camping season. I had a hard time finding this wheel for my trailer but these people really came thru for me.I`ll buy from them again. The price was good and the shipping was fast. You can`t ask any thing more. the wheel matched the ones on my fifth wheel exactly, it even came with a valve stem in it. The lug nuts were also include but were only 1/2 " but I just used the old ones 7/8". The wheel looked perfect & fit just fine.